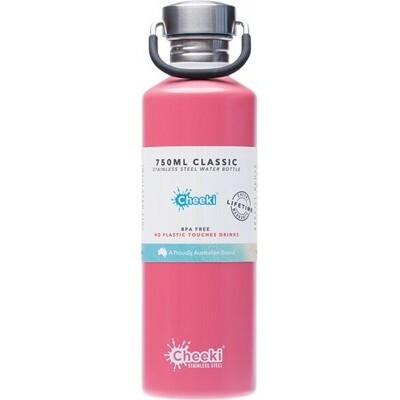 Cheeki’s single walled water bottles help keep you fully hydrated in a great size bottle. 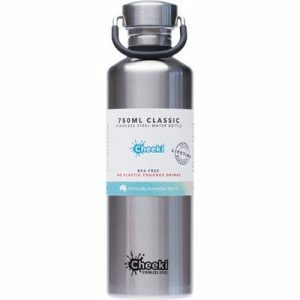 In a handy 750ml size which is ideal for school bags, gym bags and can fit most bottle holders and the side pockets of backpacks. 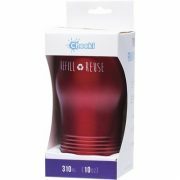 Premium Food Grade 304 (18/8) Stainless Steel. 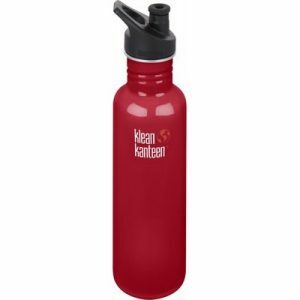 BPA – Free bottle and lid. Toxic free paints. 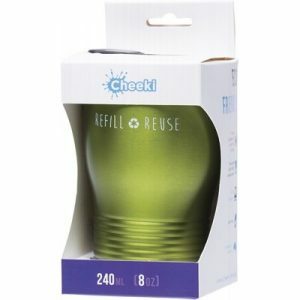 Cheeki are proudly Australian and focus on environmentally responsible, reusable products that are healthy and fun. 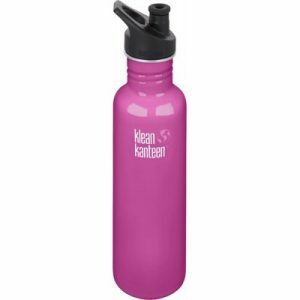 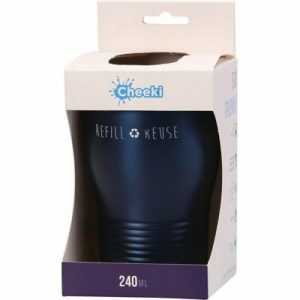 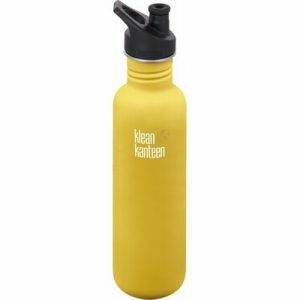 Cheeki’s wide range is suitable for all seasons and includes coffee cups, water bottles, insulated bottles, food jars and more. 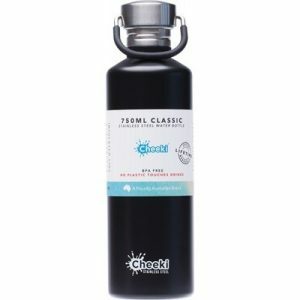 Cheeki products are manufactured from Premium Food Grade stainless steel with no inside lining, non-toxic inks and are BPA-Free.